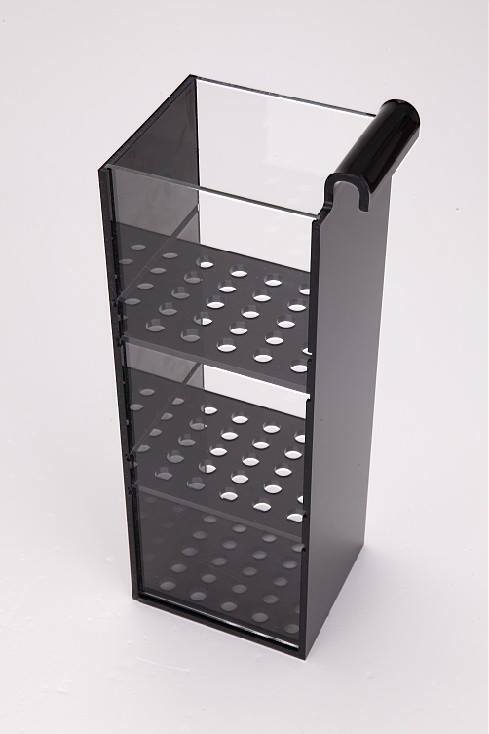 Innovative Marine is about to make swapping out filtration media in their Nuvo Aquariums a whole lot easier. 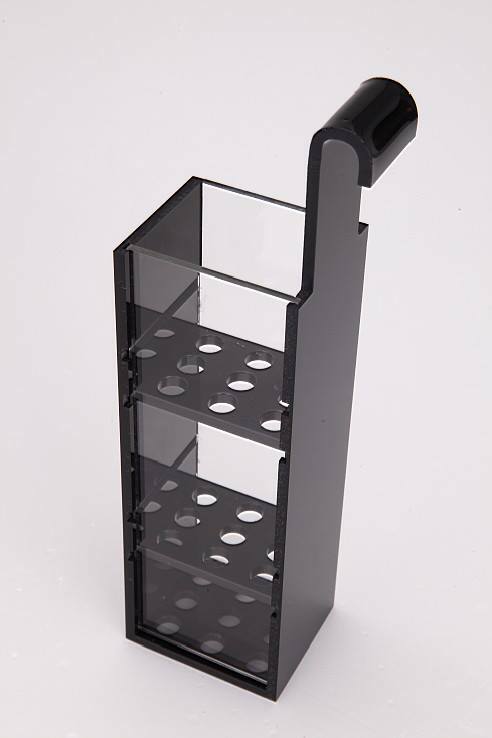 They’re set to release a new AuqaGadget, called the CustomCaddy, which comes in three sizes and has removable shelves that can accommodate a variety of filter media or can even be converted into a refugium. 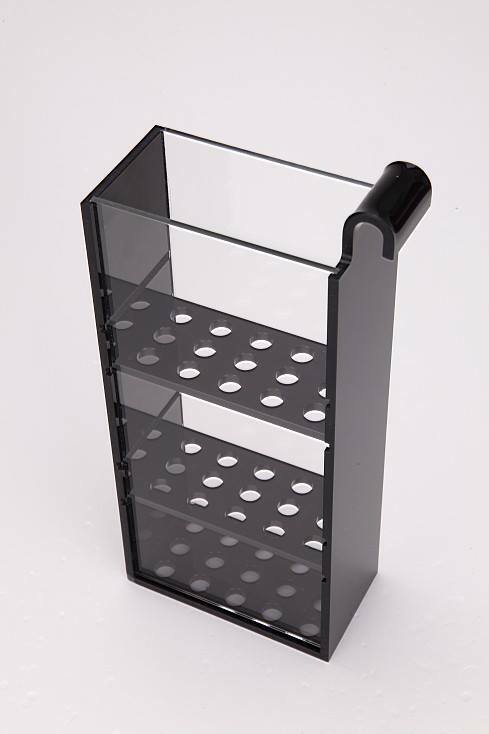 The acrylic media holders also have a built-in arm that secure it in place within the rear chamber of an aquarium, with holes in each of the dividers to allow for ample water flow through the media. The CustomCaddy will be offered in three different sizes, with each targeting different Nuvo Aquariums. The CustomCaddy 38 fits the Nuvo Micro30 and Mini38, while the CustomCaddy 24 is designed for the Nuvo 24, and the CustomCaddy 16 for the Nuvo Pico4, Nano8 and Nano16 tanks. The price breakdown for the media caddies is $40, $30, and $20 respectively. Innovative Marine expects the CustomCaddy to start selling from authorized retailers next week.